In baseball, an incorrect call can transform the outcome of the game, a season, and, in some cases, even legacies. 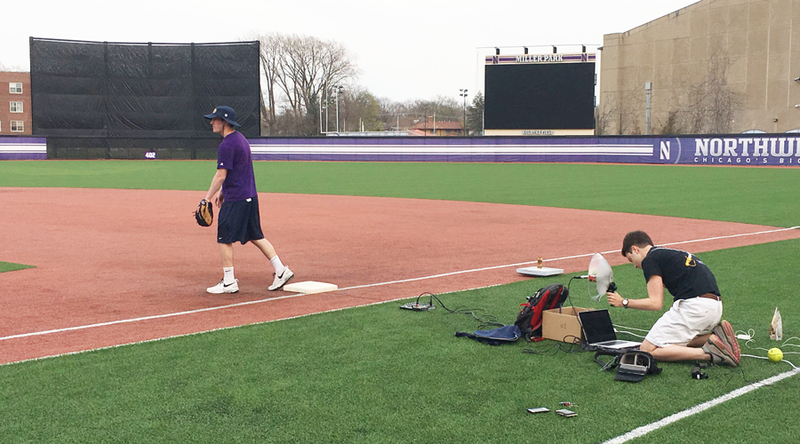 With ever-intensifying demands to get the calls right on the field, a group of four Northwestern Engineering undergraduates developed a solution to improve the accuracy of calls at first base. The team tested the sensors outdoors with sideline and contact microphones to detect lag. Currently, the system for making calls at first base involves umpires watching the base and listening for the ball being caught. Skilled as the umpires are, however, that system remains an imperfect one, as about 20 percent of close-play calls are later deemed incorrect by video replay – and even with video replay, not all calls can be conclusively determined. The Baseball Sensors’ design sends audio data – sideline microphones detecting the audio from a ball hitting the mitt and in-base contact microphones determining when a runner steps onto first base – to a review booth. As close plays are often decided in milliseconds, network analysts can quickly and efficiently determine if a runner is safe or out by comparing in-base and sideline microphone audio responses and their associated timestamps. Notably, the sound data from the sideline microphone, in-base audio, and video broadcast can provide fans at home a more rich, in-depth viewing experience during network broadcasts as well. 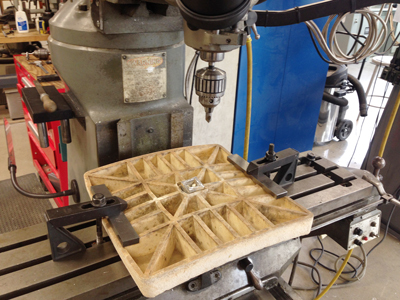 The Baseball Sensors’ team continues developing its product, including potential wireless transmission. The long-term hope is for implementation among television networks with potential adoption at the professional level.